How a love story once hated saved 6 lives in a Communal Riot? Should community, language or tradition be the obstructions for true love from blossoming? How cruel can a married girl's destiny be to throw her into prostitution? Have you ever attended an uninvited marriage reception with your beloved and got caught by the hosts? Why a boy decides to spend his entire life in a mental asylum? Why a girl at midnight runs away from her family? How worse it can be if you are caught by your girlfriend's parents while kissing her? 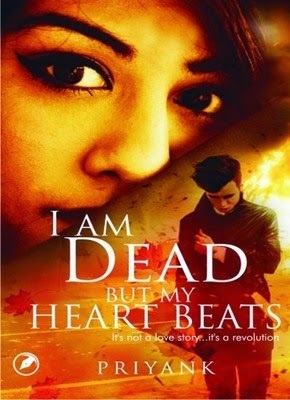 I am dead but my heart beats is a fascinating saga of love, education, community, hatred, sacrifices and hope. It's about four youngsters from different communities ,speaking different languages - Aryan, Anshika, Zahid and Swati. Get ready for a heart-breaking journey of a complete real life story. Priyank, born in Amethi (Uttar Pradesh) on 29th October, 1992 and brought up in Ghatsila (a small town near Steel city JAMSHEDPUR in Jharkhand), Priyank is a Gold Medalist in Creative writing. He is currently pursuing his Engineering (3rd year, Electrical Engg.) from BIT Sindri, Dhanbad (Jharkhand government's lone technical institute since 1949). He is a top 100 rank holder in Science and Mathematics Olympiad. Keenly inclined to his studies since school, Priyank's dream is to bring changes in the country and make it a better place to live in. Writing was never his passion, nor his goal. It happened to him by chance, by destiny, in an attempt to fulfill someones dream. He loves cricket, travelling, sleeping and reading novels. He is highly passionate about entrepreneurship, autonomous robotics and Indian politics. Join Priyank on Facebook at www.facebook.com/Priyank.bits and know more about him. You can also reach him directly at reachpriyank29@gmail.com or through his official novels page on Facebook www.facebook.com/iamdeadbutmyheartbeats You can visit his blogs at http://authorpriyank.wordpress.com. One good thing about ‘I Am Dead But My Heart Beats’ is that the pace never stops. The story moves ahead briskly, and you don’t get the feeling of being left stranded in static prose. Unfortunately, this also turns out to be one of the primary drawbacks of this book. ‘It’s not a love story … it’s a revolution’ is the tag-line of Priyank’s debut novel, the author giving a clear indication that this is not just another teenage romance, but deals with more serious issues. Fair enough. It’s always a pleasure reading something that contains deep materials, and not just revolves amidst college campuses. With hopes and anticipations floating high, I turned to page one. Now, I do not have the complete idea regarding how a book gets published. Well, I do know in bits and pieces, for example, the writer pens down his story, approaches a publishing house, and the editor looks upon his or her work and rectifies the mistakes. Once the errors have been eradicated, the book goes on print. This is the basic concept of the publication industry, with a few steps added here and there. What happens when one of these steps go missing? Editing is one of the key components of every story. Whether you are writing a short story or a novel, you have to make sure it’s properly edited before the final version is released. ‘I Am Dead But My Heart Beats’ fails miserably in this front. Too many grammatical errors, wrong use of tenses, and misplaced words mar the narrative. Also, while the basic tone is simple, a few ‘heavy’ words have been used here and there, and I don’t know why. What matters in a story is not what you say, but how you say it. Usage of those words often leads to a disconnect between them and the rest of the sentences. ‘I Am Dead But My Heart Beats’ tries to deal with several topics at once, which on one hand adds a briskness into the narrative, but on the other hand, also leads to a lot of unnecessary clutter which one could have easily done away with. Aryan and Anshika are the protagonists, but then, we also have the love story of Zahid and Swati running on a similar thread. 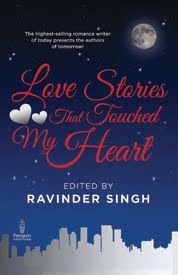 The book addresses various topics like love, lust, education, parental pressure, religion and violence, and in doing so, often drifts away from the track. 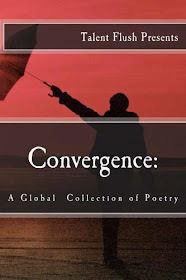 The author tries to communicate several messages all at the same time, and in the humdrum, the words get lost in a chaotic maze. It takes a lot of time and patience to write a novel. Hundreds of pages, thousands of words and a plethora of thoughts give shape to the idea. However, shouldn't an equal amount of time be dedicated to ensure that the final product doesn't have significant flaws? A better editing, and a well organized sequence of events would have worked wonders for this book. Priyank can certainly do better, and hopefully his future projects wouldn't be complaining of flawed editing. 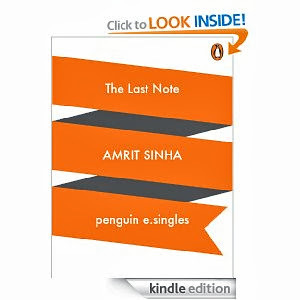 A miniature of life here.Nicely reviewed,Amrit.